Paramount Roofing & Siding is Wisconsin's leading roofing contractor. We are located in Madison Wisconsin and specialize in residential asphalt shingle, metal roof installation & commercial EPDM Rubber Roofing. Contact Paramount Roofing and Siding, the best roofing contractors Wisconsin has to offer. Don't forget to ask about our Free 100%, Non-prorated Materials and Workmanship Warranty for Life! Very Satisfied With Our Roof Replacement! I used Paramount Roofing & Siding, LLC for the first time, and they did everything they said they were going to do. They tore the old roof off my home and the out building in my backyard. They showed up on time, and they replaced it all in one day. They did a fantastic job, and I had no problems with anything! Paramount Roofing & Siding, LLC took care of our roofing, siding and shutters. When I first met Mike, I felt comfortable with him. I’d seen his company’s great ratings online. Initially we wanted to install a metal roof, but it was a little too pricey for us, so we went with normal shingles. Throughout our experience, they were very honest and trustworthy. We were very pleased we went with him — I’ve recommended Paramount to two neighbors who’ve also used their services! 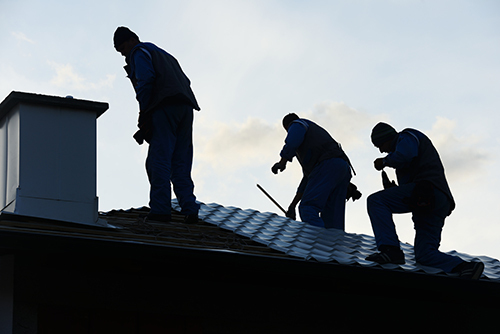 Great Roofing Contractors: Prompt and competent craftsmen. Paramount Roofing & Siding said when they were coming to do the job and that’s when they came. They cleaned up after themselves and I had no problem with what they did for me. They worked on my house and on my sister’s right next door. They did the gutters and roofing on mine and did the gutters, roofing, and siding for my sister. I appreciated their promptness and craftsmanship. Everything that they did was neat. There was nothing sloppy about it. The workers were pretty nice guys. They came and they worked all day. They didn’t goof around at it. They just went at it, got it done, and were gone. I would recommend Paramount Roofing & Siding, LLC 100 percent! First of all Scott, the fellow who came around and who was in charge of everything, was a wonderful person. The guys who did the roofing were friendly. I watched them do the work, and they did the job right. They were very concerned about what was done. They were very good workers, very polite and very conscientious. The guys who did the siding were also very good, and there’s not one bad thing I could say about them! I gave them lunch every day. They too were very concerned about doing things right. If I had a slight concern about something, they fixed it right away. The owner’s son was in charge of the siding, and he did the residing of the chimney himself. He did a wonderful job! I’ve recommended them already for roofing and siding. We were very well pleased with the roofing and siding they did for us, and I say that even though my cousin has a roofing business. Paramount Roofing and Siding, LLC put in a new roof in our home. The people who had our job were excellent. They were very courteous, and they cleaned up everything at the end of the day. They left nothing for the kids to get into, and they were super hard workers. I was impressed with how hard they worked, and the quality of their work. If they had any questions, they would ask us, and they followed through on everything we expected. Metal Roofing Madison WI – Paramount Roofing installed a new metal roof over our existing asphalt roof! We signed a contract in fall 2011 with Paramount Roofing knowing that weather would determine start date. Installation began the first week of April, 2012. The crew arrived promptly the morning of April 2 and continued daily to completion on April 11. They worked steadily and did a good job of cleaning up after the end of each day’s work. Crew was courteous and pleasant. President Mike and wife Peggy were diligent about checking on progress, answering question and were anxious to assure our satisfaction. 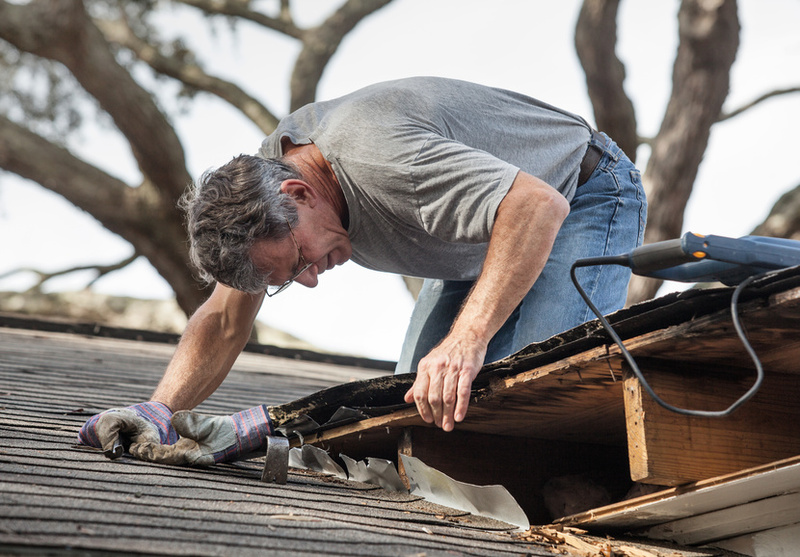 A new roof is inherently expensive. We believe we paid a fair price based on longevity and quality of metal roofing compared to aluminum or asphalt roofing. We give Paramount Roofing a strong endorsement and would recommend them to others. Paramount Roofing & Siding, LLC did a good job. For about a year and a half now I’ve been trying to get roofers out here to look at my roof. I had a small leak, and I didn’t know where it was coming from. I didn’t want it to get worse and cause major damage. I called local places that told me they would come look, but they never showed up. Paramount came out right away! They told me all my options, and they gave me a good price. When I told them about the leak, they pushed the schedule up since there were going to be bad storms the next week. They got me in on a Friday, and they worked from early in the morning until the evening. They came again the next day, Saturday, early in the morning to finish up. They didn’t leave one nail behind in the yard when they were done. They were thorough through the whole process, and they were very courteous. They did a very good job! From two separate sources I heard really good things about Paramount Roofing & Siding, LLC. so I decided to check them out. I had a new roof and ridge vent installed and it looks beautiful! I get tons of compliments from my new roof. I had some concerns about my newly installed landscape and so Mike came up with a solution to protect my magnolias that were beginning to bloom; he built a suitable size house to protect my bushes and plants. This company and their staff are very professional. I’ve already recommended Paramount Roofing & Siding, LLC. to other people. We were looking for a sheet metal roof. I called Mike from Paramount Roofing & Siding to see what he had to offer. He came to our place, which is about a two-hour drive from where he is. He told me he only had slate. At that point, I apologized for wasting his time! I got my wife to look at the slate anyway, though. She looked, and we actually really liked it. The price turned out to be comparable to everywhere else, too. Paramount Roofing & Siding did our roof, siding, and gutters–it was a pretty good sized project. For us, Mike was a straight shooter and the guys were able to hear what we were looking for and help us make decisions. The products met our expectations and overall, the execution well exceeded expectations from beginning to end. Mike was competitive in all respects.